Charles Payne: Cramer’s Never Wrong, and That’s The Problem! FBN’s Charles Payne discusses why CNBC’s Jim Cramer is coming under fire from an activist shareholder. 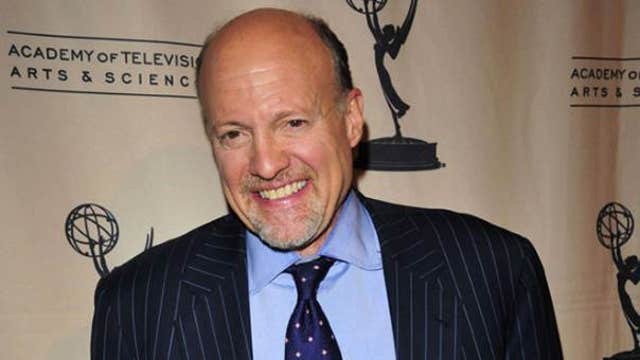 When it comes to long-term investing strategies, TheStreet.com&apos;s Jim Cramer is hard – and potentially hazardous -- to follow, according to FOX Business Network’s Charles Payne. “You are 59. When you lie upon your deathbed, how will you reflect upon your legacy? You will have done well, but how has the common shareholder done?,” the activist shareholder wrote directly to Cramer in the letter. Payne said when it comes to smart investing, volatility is a common denominator, and keeping a longer-term vision is critical. “The bigger issue is confusing guidance where one day everyone should sell everything because of Ebola, but magically be long when the market is at an all-time high a month later. I know the pressure of both and it’s easy to let the tail wag the dog,” Payne said. Payne said Cramer’s strategies are too focused on following the day-to-day trends, as opposed to seeing them before they explode. “I just feel like the man has crumbled under the pressure. And, unfortunately…I don’t see how anyone who watches him on TV can make money,” Payne said.